If your iPhone is considerably new then it is bound to be unlocked but if you are using an older model of iPhone then SIM swapping will end with a very disturbing message. The pop-up message will tell you that "SIM is Locked" and ask you to "Unlock the SIM". Basically, you will be stuck with that specific service provider, but no need to worry you will be able to unlock SIM card iPhone for free and you can do it yourself without even contacting your current service provider. You won't need any special equipment to unlock a SIM but a simple procedure will do. Let's have a look. Before getting into the procedure you must know a few things about it. You must have at least once tried to change your SIM card and at that moment a message has popped up on your mobile screen. 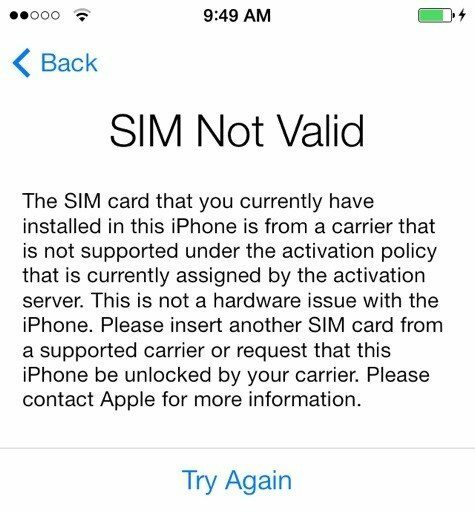 It informs you about the status of your SIM card and that is "SIM Locked". At that moment you had no idea what to do and how to unlock iPhone network. So, you just tapped on "OK". Unfortunately, for you nothing happened, the SIM card is still locked. Thankfully, there are ways to get that dialog box back. But before we go there you have to know about the iPhone SIM card PIN. You have to know the current PIN of your SIM card before you can proceed further. You can easily know the PIN by looking at the documents given to you by the Service Provider the moment you bought the SIM card. There is also a PIN code known as the "Super PIN Code" it is basically able to unlock the SIM if you have locked it by putting the wrong PIN over and over again. If you want to know how to unlock SIM card on iPhone then you should use the most straightforward method to achieve that feat, which is the Phone App. You will find the Phone App in your iPhone it will help you get the dialog box back so that you can use it to unlock the SIM. So, you should start by making a call from your iPhone, the dialog box should return at this point. You need to tap on "Unlock" and provide the PIN of your SIM card along with it. The SIM will be unlocked. Also instead of calling a real number you can just put random numbers and hit the call button. Step 2: Now, find the "Phone" settings. Step 3: From the drop-down menu you need to select "SIM PIN". Step 4: Now, a message will pop-up asking you "If you want to unlock your SIM card". This is it! You can unlock the SIM from here and even change the SIM PIN itself as per your convenience. Here is how to unlock iPhone from carrier by changing the SIM PIN from the Settings of your iPhone. Step 1: As per regulations, the SIM card of your iPhone comes with a PIN code. This PIN code protects your SIM card. 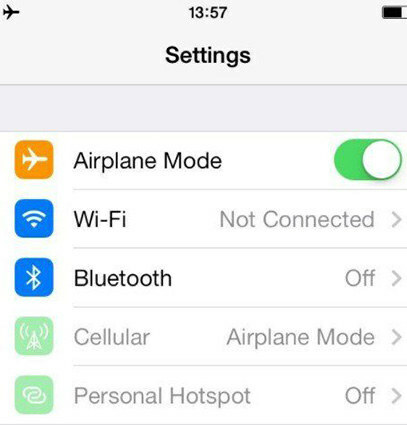 Step 2: You can simply go to the Settings and enter the current PIN of your SIM card. Step 3: Now, just tap on "Change PIN". Step 4: Then, you will have to provide a new PIN. Step 5: You can also disable SIM PIN from here, but we will recommend that you should at least use a passcode to protect the privacy of your device. Well, if you are able to change the PIN code of your SIM card then you will be able to unlock the locked SIM card easily without even contacting the Service Provider. Mainly, you need to know that these days all the iPhones come with unlocked SIM cards, you can easily swap the SIM, but the trouble starts if you are using an older model. You won't be able to change the SIM card and message will pop-up telling you that the SIM is locked. But there is no need to worry anymore as proper ways to unlock your SIM is elaborated in this article and the best part is that you won't even have to talk to the service provider. Also if you have locked yourself out of your iPhone then you can use the third-party tool Tenorshare 4uKey to unlock iPhone passcode. It is a stellar unlocker tool which can unlock any type of passcodes from 4-digit, 6-digit, numerical, Touch ID, Face ID etc. Install the tool> Connect iPhone>Download firmware> Unlock iPhone. 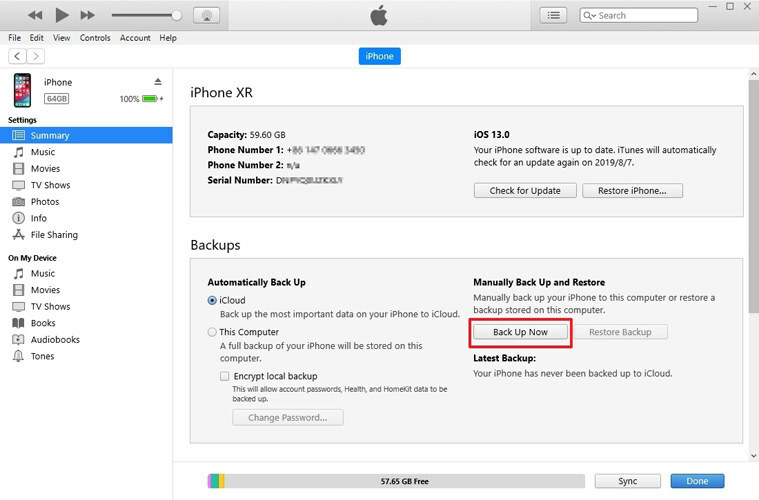 This is the procedure to get your iPhone unlocked right now. Highly recommended!